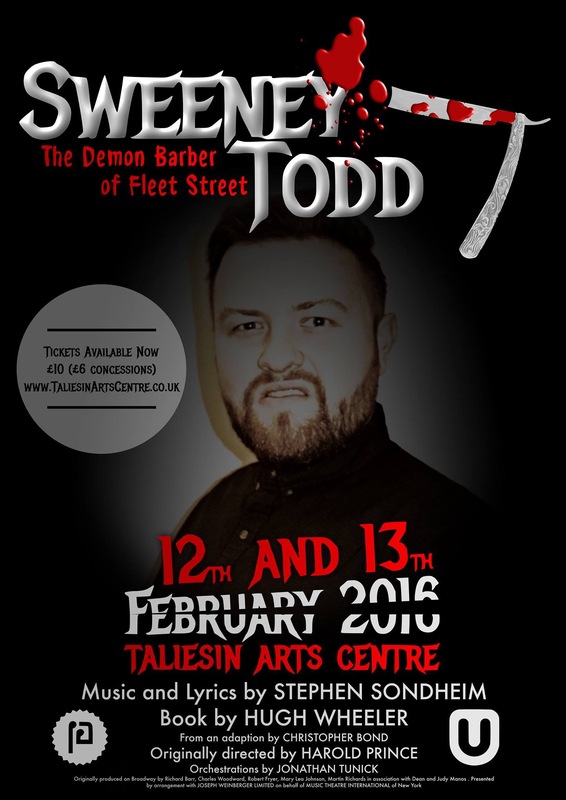 Swansea Univeristy’s Performing Arts came together to make Sweeney Todd: The Demon Barber of Fleet Street in the Taliesin. A Musical Thriller. London, 1840. Sweeney Todd returns home after 15 years away, with an appetite for revenge. Swansea University’s Performing Arts Societies took on Sondheim’s notoriously macabre masterpiece, telling the story of the infamous barber and his gruesome partnership with pie proprietor, Mrs Lovett. An equal blend of comedy and tragedy all wrapped up in one musical everyone had an incredible time. Directed by Ellie Gibson, Musical Director – Chris Wilson, Choreographer – Steph Dalton. With; Arts Director – Lauren Jenkins, Technical Director – Dan Timmins and Publicist – Amy Cooper.